Forensic psychology applies psychology to the criminal justice system. As a forensic psychology student you cover core modules included in the BSc (Hons) Psychology programme, along with specific modules relevant to forensic psychology. You consider different experiences of the criminal justice system – for victims, witnesses, defendants and legal professionals. You learn about the assessment and treatment of different types of offenders. You learn the theory and research behind police interviewing, and put it into practice in our mock police interview rooms. And you consider the role of jurors, witnesses and experts first hand by taking classes in our replica courtroom. Our staff are actively involved in the practice of forensic psychology so you are taught topical issues by experts from this field. Excellent links with external organisations means that there may be opportunities for course-related voluntary work. This module will provide students with an introduction to the core scientific principles needed to engage effectively with research in the disciplines of sport and psychology. You will learn biological principles underpinning physiological and psychological functioning, approaches to and applications of research in health and well-being and you will be introduced to research and statistical practices in the social sciences. This module introduces the criminal justice process, theoretically and in practice, from a criminological viewpoint. It offers an analysis of the process of criminal justice from the point of arrest to the outcome of a court hearing. You examine the agencies and institutions of the law, as well as the criminological theories that produce knowledge for these institutions. The module allows you to participate in an inclusive environment for learning the foundational principles that have informed criminal justice debates to date. This module provides students with many of the skills needed to critically evaluate psychological theories and studies. It uses examples from psychology to highlight the common errors that people make when assessing arguments and evaluating evidence. The module provides step-by-step guidance on how to overcome widespread mistakes and how to construct logical, balanced and coherent arguments. The module also requires students to assess the validity of a number of extraordinary claims, such as parapsychology, alternative medicine, astrology and mediumship. Students will be encouraged to be open-minded, yet require appropriate standards of proof when evaluating such claims. Providing a foundation in psychological research methods and analysis, this module covers a range of experimental and non-experimental methodological approaches. You are introduced to the Windows SPSS package for statistical analysis and graph drawing, and you learn about simple qualitative research and data collection methods. The module covers ethics in research, qualitative and quantitative methods, survey design, simple non-experimental and experimental designs, reliability and validity, probability, hypothesis testing, descriptive data analysis, simple non-parametric and parametric statistical analysis and research report writing. By the end of the module, you’ll be able to identify the appropriate method for a range of research questions, analyse the resulting data and draw appropriate conclusions. This module is designed to introduce students to the key concepts involved in understanding forensic psychology, such as crime and victim interaction, criminal thinking patterns, explanations of criminal behaviour, testimony and courtroom psychology, and crime prevention. The main aim of the module is to introduce students to the basic concepts within Forensic Psychology. It will attempt to answer the question 'what is crime? ', and will discuss the range of theoretical approaches that have been used to explain it. The module will also introduce students to a range of study and transferable skills relevant to their degree programme and future career. The module is divided into two halves: biopsychology and social psychology. Biological, neurological and social explanations for a series of identified psychological topics are explored, as well as introducing the concept of evolutionary explanations for human behaviour and the scientific approach to the study of our social behaviour. Students are required to produce a 2,000 social psychology essay (50%) and complete a 2 hour unseen biopsychology written examination (50%) for their assessment in this module. You attend weekly two hour lectures and five hours (delivered in term one) of seminar activity. Your lectures introduce you to research management, supervision protocol, research ethics, personal development and career planning. You also look at specific psychological research studies to further develop your understanding of the research cycle (setting a research question, developing appropriate methods, using appropriate analysis, making appropriate conclusions and dissemination) and critical evaluation, to provide an opportunity to develop ideas for your own project. In lectures you cover general disciplines of psychology - cognitive, social, biological, developmental, individual differences and are delivered by subject group experts. The module deals with more advanced research design and analysis, building on the module Research design and analysis 1. The module aims to facilitate the development of knowledge and skills in using advanced research designs, including the use of quantitative and qualitative analysis techniques. Module content includes conceptual issues in advanced research designs - including experimental, quasi-experimental and non-experimental quantitative research designs - planning of sample size, quantitative data analysis (ANOVA and multiple regression), and qualitative data collection and analysis. This module aims to demonstrate the relevance of psychology to our understanding of crime, criminal behaviour, legal decision making and the investigative process. The key areas addressed include: theories of crime and criminality, the applications of psychology in the criminal justice system, detecting deception, witness testimony, the role of expert witnesses and applied interviewing techniques. The main aim of this module is to focus on the application of psychological research and theory to practice in the criminal justice system. In particular, it is concerned with the contribution made by psychology to the investigation and prosecution of criminal offences. It will use a holistic approach, enabling students to gain an understanding of how parts of the system interface with each other. The module will cover areas of psychological work relating to aspects of the justice system, with a specific focus on the application of psychology to investigative interviews, victim and witness testimony, and courtroom procedures. In addition, it will cover relevant legal information to increase an understanding of psychological decision making in a legal context. The module aims to provide you with an opportunity to apply your learning from earlier modules by conducting a self-initiated, substantial data driven research project in a specific area of interest. You demonstrate your skills in data collection, analysis, interpretation and communication of findings of an empirical piece of research. You attend a weekly 2 hour lecture (delivered throughout the year) and 5 hours (delivered in term one) of seminar activity. You research management, supervision protocol, research ethics, personal development and career planning. You are introduced to specific psychological research studies to further develop your understanding of the research cycle: setting a research question, developing appropriate methods, using appropriate analysis, making appropriate conclusions and dissemination and critical evaluation. This helps you develop ideas for your own project. Lectures themes are general disciplines of psychology: cognitive, social, biological, developmental, individual differences and are delivered by experts from within the subject group. This module is aimed to introduce students to a number of debates in applied psychology. The module content is aimed to meet learning needs of students interested in aspects of applied psychology and to foster self-directed learning. This module is aimed at students who have an interest in applied aspects of cognitive psychology, especially educational psychology, as well as those interested in developmental and bio-psychology. The module introduces you to a range of different neurodevelopmental disorders e.g. autistic spectrum disorder, dyslexia, ADHD, specific-language impairment, Williams syndrome, Dyscalculia, Fragile X and Downs syndrome. Each disorder will be considered in terms of its diagnostic criteria, characteristics, theoretical perspectives and issues with comorbidity. As such we will discuss each condition at the levels of biology (including genetics), cognition, behaviour and the environment. Wider issues such as the social aspects of neurodevelopmental disorders, including integration in education, lifespan changes and methodological and ethical issues in researching neurodevelopmental disorders will also be addressed. Community-based support: Personal Care, Community access, Accessing social and leisure activities with service users, Assisting the service user during Physiotherapy, Occupational Therapy, Speech and Language Therapy. Community-based hours will include evenings and weekends. Prior to commencing the module, you are required to apply for Disclosure and Barring Services (DBS) enhanced disclosure and successfully complete the Neuro Partners interview, assessment centre and training. DBS applications will be made during the interview. You will receive full training for the role of support worker (delivered by Neuro Partners) and have regular contact with an Assistant Psychologist, who will appraise you 3 times throughout the year. 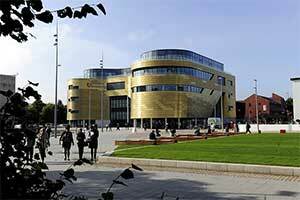 You will have 6 hours contact at Teesside University to introduce the module and go through assessment requirements. This will be delivered as 3 x 2hour lectures (delivered throughout the year). The module requires you to be available for the full duration of the academic year (30 weeks) and accumulate a minimum of 70 hours of support work experience. It is expected that you will gain 2-3 hours support work experience per week and will document your experience by completing logs after every session. This module explores psychology’s role in progressing, treating and managing illness. You will consider the dominant discussions of health and illness and explore the methods used to measure and assess health and illness. This module explores health promotion interventions, particularly the associated psychological issues that need to be considered when you are addressing the health and illness needs of individuals across the lifespan. This module provides an arena for you to study in depth one of the most intriguing and misunderstood aspects of psychological experience – that of selfhood. It brings together a number of sub-disciplines that throw light on selfhood and subjective experience. Perspectives from social, developmental, and clinical psychology are combined in this module to offer you the opportunity to explore what selfhood means to you and how different constructs of selfhood can be enriching to the human experience. Therapeutic Care and Meaningful Interactions provides you with experience and knowledge of working as a Therapeutic Care Volunteer (TCV) within South Tees NHS Trust. You have the opportunity to develop transferable knowledge and employability skills. You cover confidentiality, data protection, communications, problem-solving, group work, time management, self-management, and record keeping. You have the opportunity to work within a health care team across any combination of wards across the Trust and community hospitals, whilst maintaining boundaries and a professional relationship with individuals. 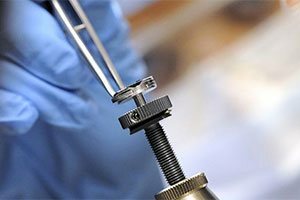 Teaching is delivered using a range of lectures, seminars and laboratory classes. We emphasise study skills so you learn how to use all our extensive facilities such as electronic journals, virtual learning environments and computer programs. You also have access to our computer suites and specialist laboratories where you develop practical skills in the investigation of human behaviour. Our varied assessments develop the skills most valued by employers. They include essays, exams, group and individual presentations, poster presentations, portfolios and a dissertation. There is even opportunity to write a psychological expert witness report. A typical offer is 88-112 tariff points from at least two A levels (or equivalent). You must also have GCSEs in English and maths at grade 4 (grade C) or equivalent. For entry to Year 0 (Foundation Year) a typical offer is 32-64 tariff points from at least two A levels (or equivalent) and GCSE grade 4 (grade C) or equivalent in English and maths. Although this is an academic course rather than a professional training course, on successful completion, with a 2.2 or above, you will be eligible to apply for Graduate Basis for Chartered Membership (GBC) status with the British Psychological Society (www/bps.org.uk). As with all our psychology degrees, upon graduation you can proceed to further study in any area of psychology. 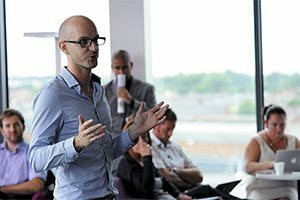 However, the unique skills and knowledge developed on this course are particularly suited to the postgraduate training you will need in order to become a Chartered Forensic Psychologist. 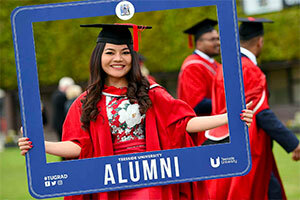 All programmes are designed to incorporate employability skills development alongside your degree course. Our staff utilise their extensive connections to provide many and varied opportunities to engage with potential employers through fairs, guest lecture sessions, live projects and site visits. In addition we offer a series of workshops and events in the first, second and third year that ensure all students are equipped with both degree level subject knowledge PLUS the practical skills that employers are looking for in new graduate recruits. 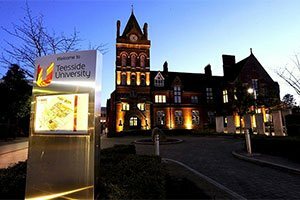 Our award winning careers service works with regional and national employers to advertise graduate positions, in addition to providing post-graduation support for all Teesside University alumni. Dr Kimberly Collins talks about how the mock courtroom facility is used for teaching psychology. 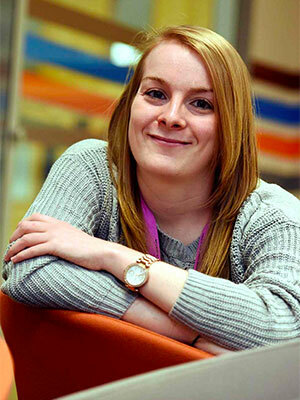 Alex’s passion for forensic psychology has led to her progressing to a PhD.